VMware is the pioneer of the Software Defined Data Center and is investing in the development of next generation security technologies that take advantage of the virtualization layer for improved security of both desktops and servers. 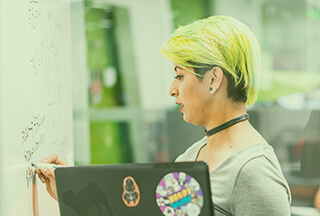 VMware is looking for candidates that can contribute to these projects at all stages: research, analysis, prototyping and development for multiple groups in the Networking and Security business unit of VMware. The Security Virtualization at VMware leverages the hypervisor privileged layer to provide multiple vantage points into memory, CPU and I/O enabling novel ways of malware detection and remediation. The NSX Networking and Security Solutions team is working to expand the existing VMware Security API and provide increased levels of context without compromising performance, while maintaining the security advantaged of the higher-privilege. NSX Endpoint security covers areas such as anti-malware protection, OS kernel integrity, black-listing and white-listing approaches, anti-rootkit protection, code injection, remediation and context aware firewalling. • Define test strategies; design and implement test automation framework and automate tests for the next generation of Security solutions for the Software Defined Data Center. • Interact with Development and QE teams, Documentation, Release Engineering, Product Management to execute and ensure that product goals are met on time and with high quality. • Experience of automating the tests to verify kernel modules or guest agent software on windows and windows device drivers. • Test automation methodologies; Programming skills in both Python and C/C++. Key Skills: Python and C/ C++, Test automation, automation frameworks, Debugging and troubleshooting.